Emerging data suggests that melatonin has been overlooked in the developmental etiology, course, and treatment of schizophrenia. The neuroimmune and oxidative stress factors in the pathophysiology of schizophrenia and the nature of specific symptoms including circadian dysregulation, sleep disturbance, and metabolic disturbances suggest a significant role for melatonin in course and treatment. 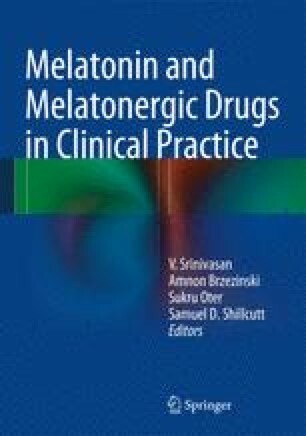 Importantly side effects of antipsychotics including tardive dyskinesia, weight gain, and metabolic dysregulation highlight an important therapeutic role for the adjunctive use of melatonin. It is proposed that melatonin interacts with the tryptophan catabolite pathway, known to be altered in schizophrenia. The decrease in melatonin in schizophrenia is mediated by increased activation of the tryptophan catabolite pathway driving tryptophan away from serotonin and melatonin production. This impacts cognition, affect, and motivational processing via changes in the cortex, amygdala, and striatum, respectively. Importantly melatonin may improve not only the quality of life but also the drastic decrease in life expectancy in schizophrenia patients.